The Quran and history-do they sync? The Quran and History–do they sync? 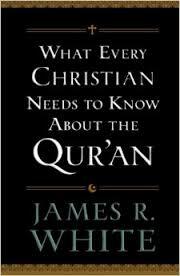 I would like to make a plug for James R. White’s book, What Every Christian Needs to Know About the Qur’an. It is a valuable resource, both for the Christian, as well as the Muslim, in understanding the background, historical context, and claims of the Quran. 4:156. And because of their disbelief and of their speaking against Mary a tremendous calumny. 157. And because of their saying: “We slew the Messiah, Jesus son of Mary, Allah’s Messenger.” They slew him not, nor crucified him, but it appeared so to them; and those who disagree concerning it are in doubt thereof; they have no knowledge of it except the pursuit of a conjecture; [but] certainly they slew him not. 158. But Allah raised him up to Himself. Allah is August, Wise. …So there forty Arabic words stand alone in the Qur’an. They stand alone without commentary in the hadith literature as well. They stand against not only the natural reading of other Qur’anic texts but also against the entire weight of the historical record. Forty Arabic words written six hundred years after the events they describe, more than seven hundred fifty miles from Jerusalem. Forty Arabic words that are not clear, not perspicuous, and yet this is the entirety of the foundation up which the Islamic faith bases its denial of the crucifixion, and hence, resurrection of of Jesus Christ.